Margaret D. H. Keane (born Peggy Doris Hawkins; September 15, 1927) is an American artist. 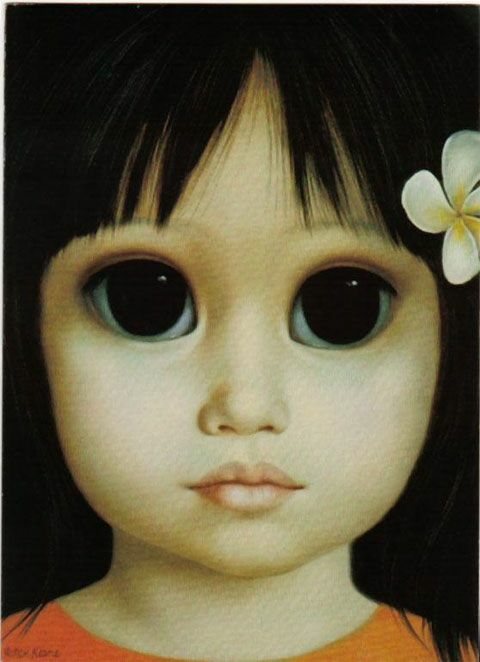 Creator of the “big eyed waifs”, which feature children with large eyes. Keane is famous for drawing paintings with big eyes and mainly paints women, children, and animals in oil or mixed media. 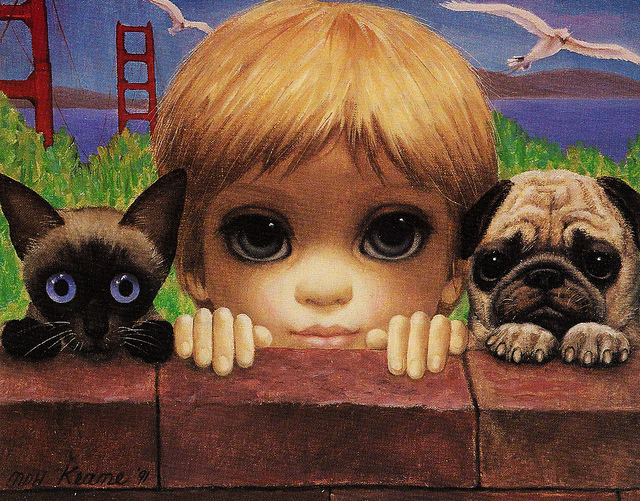 Margaret Keane was born in Nashville, Tennessee. Keane started drawing as a child and began taking art lessons at age 10. As an adult she studied at Watkins Art Institute in Nashville and Traphagen School Of Design in New York City. Keane painted her first oil painting of two little girls, one crying and one smiling, when she was 10 years old and gave the drawing to her grandmother. Keane still has the painting today. She was well known at the local church for her sketches of angels with big eyes and floppy wings. 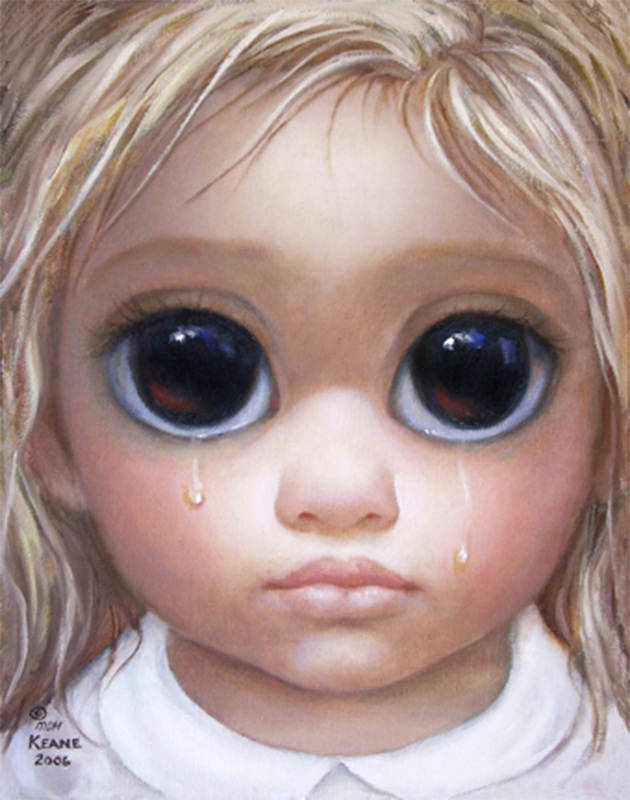 Margaret Keane’s paintings are recognizable by the oversized, doe-like eyes of her subjects. Keane says she was always interested in the eyes and used to draw them in her school books. 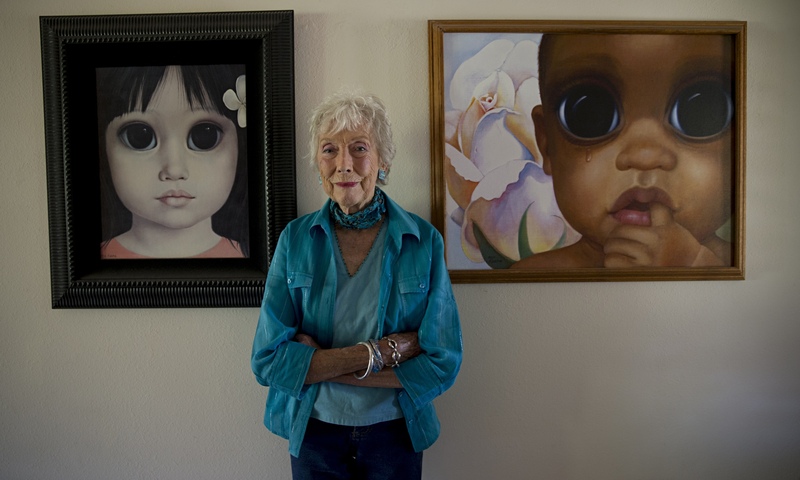 She began painting her signature “Keane eyes” when she started painting portraits of children. 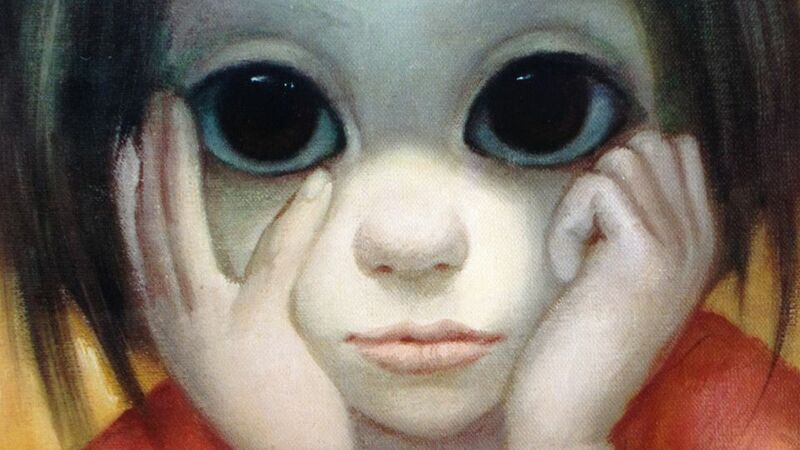 “Children do have big eyes. When I’m doing a portrait, the eyes are the most expressive part of the face. And they just got bigger and bigger and bigger” Keane said. Keane focused on the eyes, as they show the inner person more. Keane attributes Amedeo Modigliani’s art as one of the major influence in the way she paints women since 1959. Other artists who influenced her in use of color, dimension and composition include Van Gogh, Gustav Klimt, and Picasso. 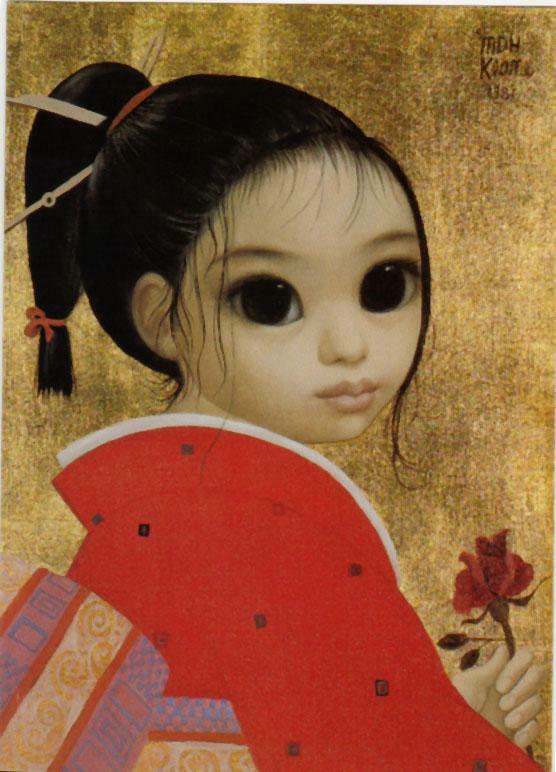 During this time her artwork was sold under the name of her husband, Walter Keane, who claimed credit for her paintings. In the height of the artworks’ popularity, she was painting non-stop for 16 hours a day. 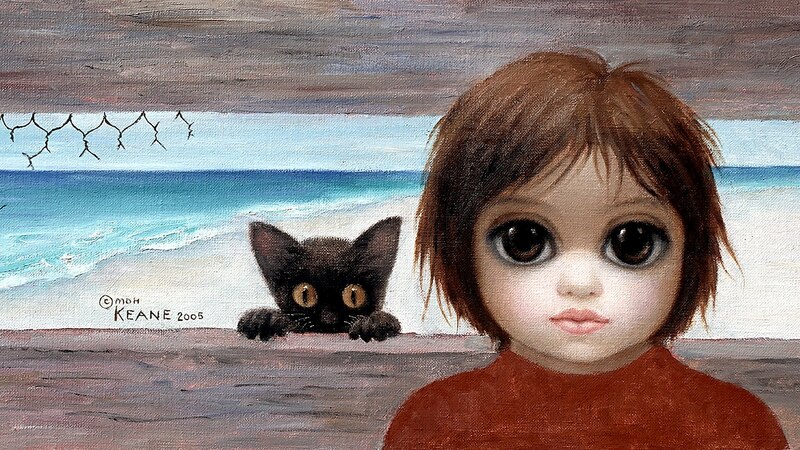 In 1970, Keane announced on a radio broadcast, she was the real creator of the paintings that had been attributed to her ex-husband Walter Keane. After Keane revealed the truth, a “paint-out” between Margaret and Walter was staged in San Francisco’s Union Square, arranged by Bill Flang, a reporter from the San Francisco Examiner and attended by the media and Margaret. Walter did not show up. A federal appeals court upheld the verdict of defamation in 1990, but overturned the $4 million damage award. Keane says she doesn’t care about the money and just wanted to establish the fact that she had done the paintings. The artworks Keane created while living in the shadow of her husband tended to depict sad-looking children in dark settings. After she left Walter, moved to Hawaii, and became one of Jehovah’s Witnesses, her work took on a happier, brighter style. “The eyes I draw on my children are an expression of my own deepest feelings. Eyes are windows of the soul” Keane explains. Hollywood actors Joan Crawford, Natalie Wood and Jerry Lewis commissioned Keane to paint their portraits. 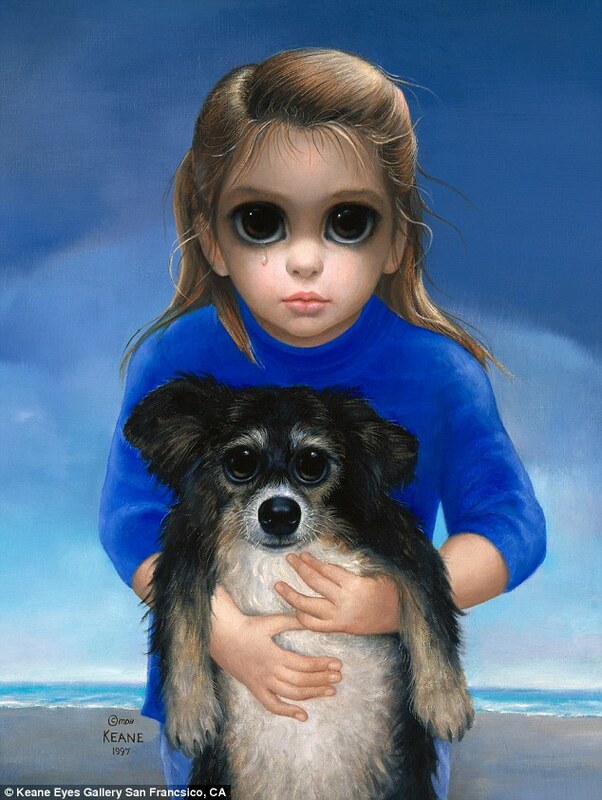 In the 1990s, Tim Burton, a Keane art collector and director of the 2014 biographical film “Big Eyes,” about the life of Margaret Keane, commissioned the artist to paint a portrait of his then-girlfriend Lisa Marie. Keane was also commissioned to paint the Children of President John F. Kennedy, John and Carolyn Kennedy. Keane’s art is collected by museums all around the world. Her painting “Our Children” is in the United Nations permanent collection of art. It was bought and presented to the United Nations Children’s Fund in 1961 by the Prescolite Manufacturing Corporation. 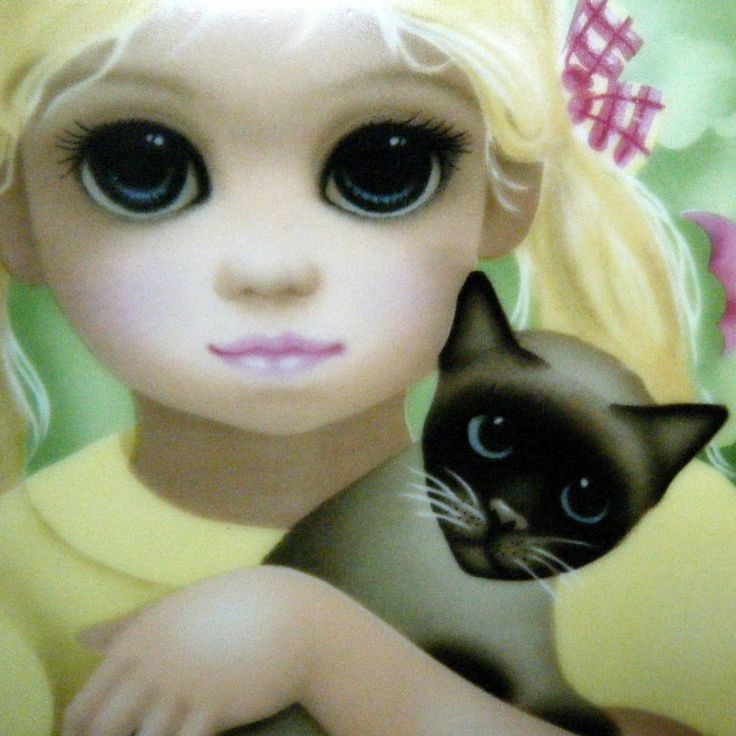 Margaret Keane’s first husband was Frank Richard Ulbrich; they had a daughter together. She married Walter Keane in 1955. In 1964, she left Walter and divorced him in 1965 and relocated from San Francisco to Hawaii. In Hawaii Keane met Honolulu Sports writer Dan McGuire and married him in 1970. She credits McGuire for helping her to become less timid and afraid after her divorce from Walter. Keane lived in Hawaii for over 25 years, before moving to California in 1991. She resides in Napa County, California.